File-SJ consists of two programs: File Splitter and File Joiner. File Splitter is a useful and free program that enables you to split a large file into small chunks which are easy to be sent and stored, while File Joiner allows you to join these split parts together so that the original file is restored. · Very fast: FFSJ can optimize disk-cache and memory usage, this makes FFSJ 3-5 times faster than HJ-Split, WinSplit, MasterSplitter in both splitting and joining tasks. Of course, it is much faster than any compression program. · Simple: FFSJ works well on all Windows platforms. FFSJ-Lite doesn't need any requirement of installations or complicated DLLs. FFSJ-Standard has only one simple installation package for integrating FFSJ into shell context menu. · Small: Both FFSJ-Lite and FFSJ-Standard editions are small enough to fit on a floppy disk. 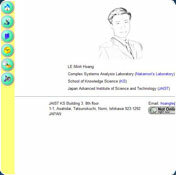 · Easy to use: FFSJ has a friendly user-interface, it can be used to split any file. FFSJ-standard can also create its shell context menus in order to perform splitting and joining tasks directly from Windows Explorer. · Easy to be integrated: Since v3.0, FFSJ published its command-line interface. End-users can split/join multiple files using a .BAT file. Developers can write their own interface (in any language) to perform splitting/joining tasks from their applications. · Secure: FFSJ uses an advanced encryption algorithm to make your data much more secure from unauthorized access. Since v2.9, MD5 checksum algorithm has also been integrated to verify data integrity. · Compatible: FFSJ can join parts produced by HJ-Split. · Free and Safe: FFSJ-Lite and FFSJ-Standard are free and clean, both editions do not contain any form of adwares, spywares, viruses, trojans and backdoors. You cannot download any crack or serial number for File Splitter and Joiner on this page. Every software that you are able to download on our site is legal. There is no crack, serial number, hack or activation key for File Splitter and Joiner present here. Our collection also doesn't contain any keygens, because keygen programs are being used in illegal ways which we do not support. All software that you can find here is freely downloadable and legal. File Splitter and Joiner installation package is prepared to be downloaded from our fast download servers. It is checked for possible viruses and is proven to be 100% clean and safe. Various leading antiviruses have been used to test File Splitter and Joiner, if it contains any viruses. No infections have been found and downloading File Splitter and Joiner is completelly problem free because of that reason. Our experts on malware detection tested File Splitter and Joiner with various spyware and malware detection programs, including fyxm.net custom malware and spyware detection, and absolutelly no malware or spyware was found in File Splitter and Joiner. All software that you can find on our servers, including File Splitter and Joiner, is either freeware, shareware or open-source, some of the software packages are demo, trial or patch versions and if possible (public domain licence), we also host official full versions of software. Because we want to be one of the fastest download sites on the web, we host all the software including File Splitter and Joiner on our servers. You cannot find here any torrents or download links that would lead you to dangerous sites. Rate File Splitter and Joiner 3.3!